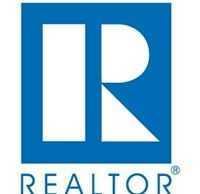 WASHINGTON, DC – January 22, 2013 – (RealEstateRama) — Existing-home sales eased in December but are well above a year ago, while limited inventory maintained the upward momentum in home prices, according to the National Association of Realtors®. Total sales in 2012 were the highest in five years, while the annual price rose the most since 2005. Total existing-home sales1, which are completed transactions that include single-family homes, townhomes, condominiums and co-ops, declined 1.0 percent to a seasonally adjusted annual rate of 4.94 million in December from a downwardly revised 4.99 million in November, but are 12.8 percent above the 4.38 million-unit level in December 2011. The preliminary annual total for existing-home sales in 2012 was 4.65 million, up 9.2 percent from 4.26 million in 2011. It was the highest volume since 2007 when it reached 5.03 million and the strongest increase since 2004. According to Freddie Mac, the national average commitment rate for a 30-year, conventional, fixed-rate mortgage was a record low 3.35 percent in December, the same in November; it was 3.96 percent in December 2011. Total housing inventory at the end of December fell 8.5 percent to 1.82 million existing homes available for sale, which represents a 4.4-month supply 2 at the current sales pace, down from 4.8 months in November, and is the lowest housing supply since May of 2005 when it was 4.3 months, which was near the peak of the housing boom. Listed inventory is 21.6 percent below a year ago when there was a 6.4-month supply. Raw unsold inventory is at the lowest level since January 2001 when there were 1.78 million homes on the market. The national median existing-home price3 for all housing types was $180,800 in December, which is 11.5 percent above December 2011. This is the 10th consecutive month of year-over-year price gains, which last occurred from August 2005 to May 2006, and is the strongest increase since November 2005 when it jumped 12.9 percent. For all of 2012, the preliminary median existing-home price was $176,600, up 6.3 percent from $166,100 in 2011, and was the strongest annual price gain since 2005 when the median price rose 12.4 percent. Distressed homes4 – foreclosures and short sales – accounted for 24 percent of December sales (12 percent were foreclosures and 12 percent were short sales), up from 22 percent in November but below the 32 percent share in December 2011. Foreclosures sold for an average discount of 17 percent below market value in December, while short sales were discounted 16 percent. NAR President Gary Thomas, broker-owner of Evergreen Realty in Villa Park, Calif., said affordability conditions will be fairly stable in the near term. “Although mortgage interest rates should gradually rise as the year progresses, they’re expected to stay below 4 percent during the first half of the year, meaning qualified buyers generally can stay well within their means,” he said. The median time on market for all homes was 73 days in December, up from 70 days in November, but is 26.3 percent below 99 days in December 2011. Short sales were on the market for a median of 117 days, while foreclosures typically sold in 45 days; non-distressed homes took 74 days. Thirty-one percent of all homes sold in December were on the market for less than a month. First-time buyers accounted for 30 percent of purchases in December, unchanged from November; they were 31 percent in December 2011. All-cash sales were at 29 percent of transactions in December, compared with 30 percent in November and 31 percent in December 2011. Investors, who account for most cash sales, purchased 21 percent of homes in December, up from 19 percent in November; they were 21 percent in December 2011. Single-family home sales slipped 1.4 percent to a seasonally adjusted annual rate of 4.35 million in December from 4.41 million in November, but are 11.5 percent above the 3.90 million-unit pace in December 2011. The median existing single-family home price was $180,300 in December, up 10.9 percent from a year ago. Existing condominium and co-op sales rose 1.7 percent to an annualized level of 590,000 in December from 580,000 in November, and are 22.9 percent higher than the 480,000-unit level a year ago. The median existing condo price was $184,100 in December, up 16.0 percent from December 2011. Regionally, existing-home sales in the Northeast rose 3.2 percent to an annual rate of 640,000 in December and are 10.3 percent above December 2011. The median price in the Northeast was $231,600, up 5.3 percent from a year ago. Existing-home sales in the Midwest fell 5.9 percent in December to a pace of 1.12 million but are 15.5 percent higher than a year ago. The median price in the Midwest was $144,800, which is 12.3 percent above December 2011. In the South, existing-home sales declined 3.0 percent to an annual level of 1.95 million in December but are 14.7 percent above December 2011. The median price in the South was $161,100, up 11.0 percent from a year ago. Existing-home sales in the West rose 5.1 percent to a pace of 1.23 million in December and are 8.8 percent higher than a year ago. The median price in the West was $239,900, which is 17.3 percent above December 2011. 3 The median price is where half sold for more and half sold for less; medians are more typical than average prices, which are skewed higher by a relatively small share of upper-end transactions. The only valid comparisons for median prices are with the same period a year earlier due to a seasonality in buying patterns. Month-to-month comparisons do not compensate for seasonal changes, especially for the timing of family buying patterns. Changes in the composition of sales can distort median price data. Year-ago median and mean prices sometimes are revised in an automated process if more data is received than was originally reported. Annual Revisions: Each February, NAR Research publishes revisions to existing-home sales benchmarked to the Census Bureau’s annual American Community Survey, and also incorporate a review of seasonal activity factors to fine-tune historic data for the past three years based on the most recent findings. Revisions will be made to annual sales and monthly seasonally adjusted annual sales rates for 2010 through 2012, as well as the inventory and month’s supply data; most revisions are minor and there will be no revisions to monthly home prices. The revisions will be included with next month’s news release. The Pending Home Sales Index for December will be released January 28, fourth quarter metro area home prices will be published February 11 and existing-home sales for January is scheduled for February 21; release times are 10:00 a.m. EST.